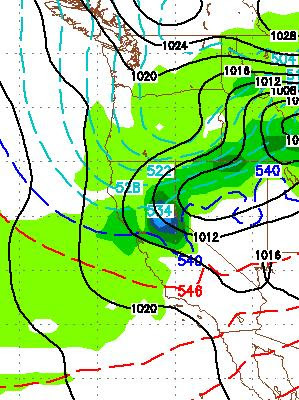 The storm for tomorrow will reach the Sierra by late morning and should dump about another foot or so of snow on the High Sierra with lesser amounts at lake level (3-6 inches). Mt. Rose should receive between 6-12 inches to cover up some of those bare spots. The NWS is talking about a chance for 1/4 inch of liquid precip in some parts of the leeward valley's. That means this storm will likely have no affect on Reno and Carson City. However, this will affect driving over the mountain passes, but everything should be cleared out by Sunday afternoon and travel should be pretty good. 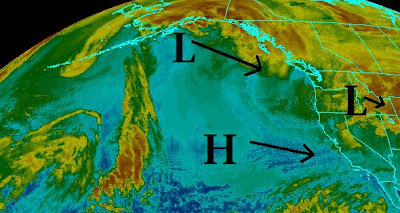 Currently there is a very deep low pressure system moving inland through the state of Oregon. 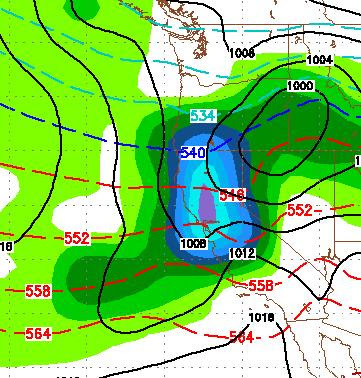 This low is going to cause havoc through the central and northern Rockie Mountains with blizzard warnings posted for Salt Lake City and many other areas of Idaho, Utah and Montana. Behind the front is a short wave of precipitation with very cold air. That has already begun to dump very heavy snow in the Sierra and will spill over and cause near white out conditions in Reno, especially west of 395. Be aware, this should occur around 9-11am, so you may want to be off the roads! 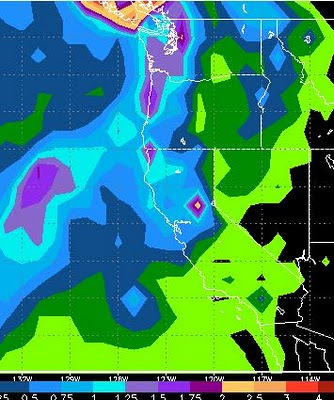 More heavy snow coming to the Sierra tonight through Tuesday when an inside slider drops down from Oregon. 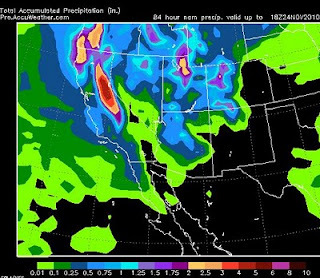 The models are in agreement that the Sierra will pick up an additional 1-2 feet of snow. 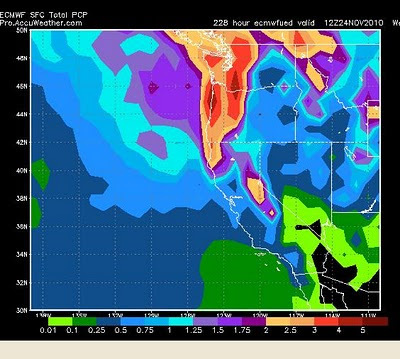 The NWS service has posted winter storm warnings for the entire Lake Tahoe Area. With this storm comes a very cold, Arctic air mass that should bring some of the coldest temps we have seen in quite some time to the area. Especially the valley floors. The cold air will be trapped by the sourrounding mountains as a high pressure ridge moves in for Wednesday-Friday. This will cause temperature inversions. The lowest parts of the valley will see below zero temperatures on Wednesday night. 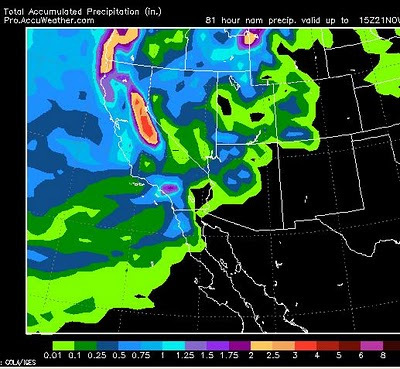 Most of the Sierra is going to pick up around 4-5 inches of liquid precip by the time this is over. 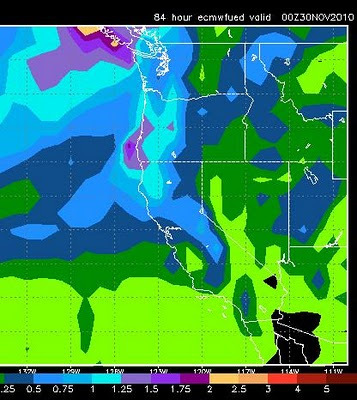 That translates to 30-80 inches of snow with the central Sierra Crest getting the most. A very strong temperature inversion moves in for Thursday and Friday with mountain warming and very cold temps in the valleys. This is ahead of what looks like another decent system moving in for next weekend (See last post). If these systems hold together, the western Sierra around Tahoe could pick up 1-2 feet of snow, with about half that for the eastern shore (Mt. Rose).